Lock in a great price for Maison Hovington – rated 8.8 by recent guests! Convenient location. Close to beach and restaurants. 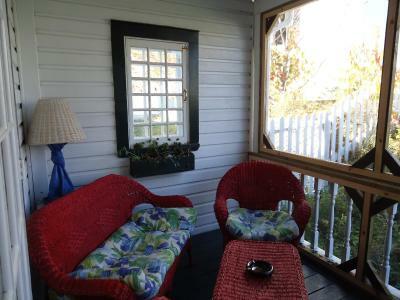 Our room had a screened sitting area at the back which also served as a private entrance. We stayed here two nights and enjoyed a delicious, beautifully served breakfast the first morning. The second morning we needed to leave early for a whale tour. Our host was so kind to pack a box full of breakfast treats for us to take with us. We were very grateful for the way we were taken care of and made to feel welcome. Bed was really comfortable and parking on site was good. Breakfast very good. Great position and lovely old house. Very nice breakfast. Helpful owner. Hosts could not be nicer. Really great couple. Breakfast excellent. 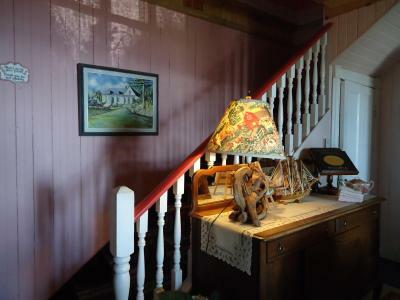 Very charming property with a sea view, - owners couldn't have been more friendly or welcoming and shared the fascinating history of their family and home with us. Great location. Breakfast was excellent and hosts were very welcoming. Perfect location for views and walking. Nice town. The ocean view from my bedroom window and from the front yard of the property was amazing! It was so beautiful and calm! 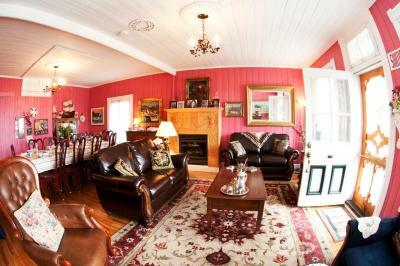 I liked the rustic aspect of the B&B with original furniture and decoration. It was like traveling back in time! My suite had two sinks, one in the bathroom and one in the bedroom which I found very useful and cute. Warm, friendly atmosphere. Beautiful view of the St. Lawrence River. Nice breakfasts. Good coffee!! Maison Hovington This rating is a reflection of how the property compares to the industry standard when it comes to price, facilities and services available. It's based on a self-evaluation by the property. Use this rating to help choose your stay! 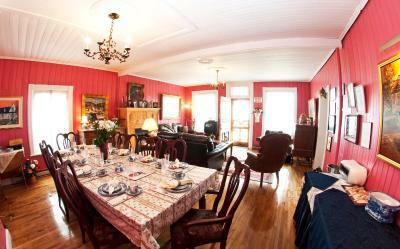 One of our best sellers in Tadoussac! 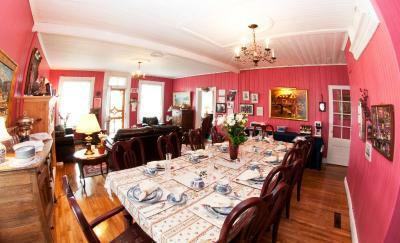 This historic Tadoussac Bed and Breakfast is within 5 minutes' drive of the Tadoussac Ferry Launch. 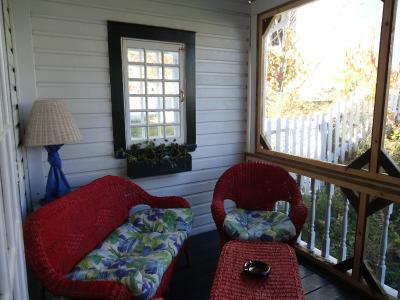 The property features a garden, communal living room and rooms with private bathrooms. Maison Hovington rooms are uniquely decorated and include free WiFi. The Hovington provides guests with a daily buffet breakfast. Guests can get area information and tickets to whale watching tours at the front desk. 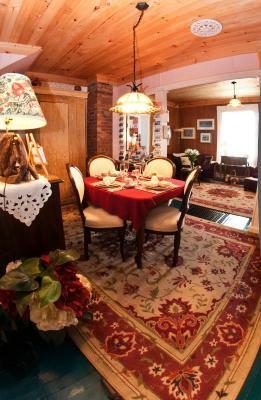 Maison Hovington is 3.1 mi from Saguenay National Park. 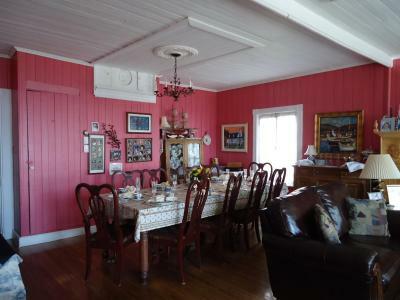 The property is less than 10 minutes' walk from the St. Lawrence River. 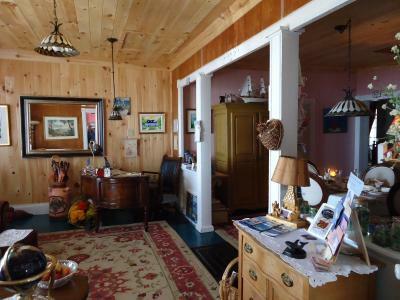 This property also has one of the top-rated locations in Tadoussac! Guests are happier about it compared to other properties in the area. 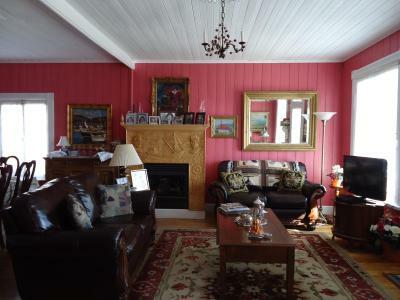 This property is also rated for the best value in Tadoussac! Guests are getting more for their money when compared to other properties in this city. 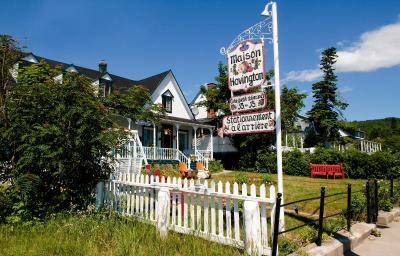 When would you like to stay at Maison Hovington? 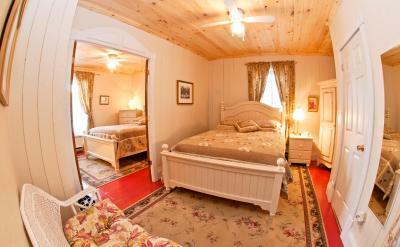 This room includes free WiFi, as well as bath or shower. 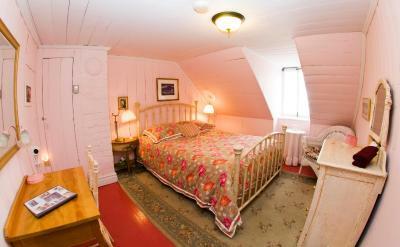 Please note, this room can accommodate a maximum of 2 guests and cannot accommodate a cot or extra bed. This suite features free WiFi, a view and radio. This junior suite with sea view offers an electric fireplace, 1 queen bed, a sofa bed for 1 person and a private bathroom. Parking, WiFi and breakfast are also included. House Rules Maison Hovington takes special requests – add in the next step! Maison Hovington accepts these cards and reserves the right to temporarily hold an amount prior to arrival. Please note, 100% of the first night will be charged on the check-in day. Guests must provide a valid credit card to guarantee their reservation. Please note, only registered guests are allowed at the property. Please do not arrive with additional people at check-in; reservations doing so will not be honored. Reservations, deposits, and payments are not transferable. Misrepresentation voids reservation, and will result in forfeit of payment. Cramped bathroom. 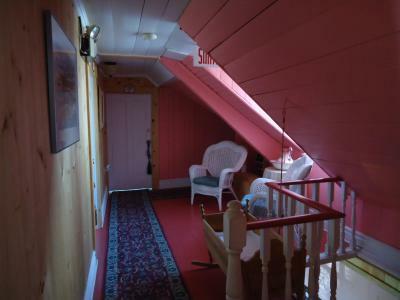 Also the floor above was so creaky every step above us could be heard to the point it woke us up and I thought there was someone else in the room. 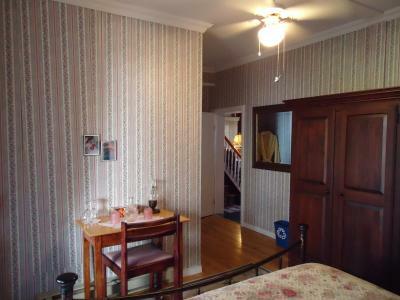 Saying that it is a very charming but old house and not sure there is much can be done to alleviate the problem. 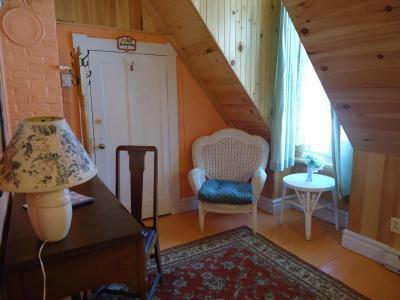 Maybe just request an upstairs room. Nothing comes immediately to mind. 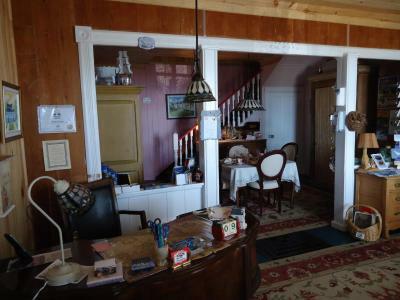 Interesting old home with a lot of history. Owners were friendly and helpful. Beds were comfy. Breakfast was good - possibility a bit over-rated in many of the reviews. 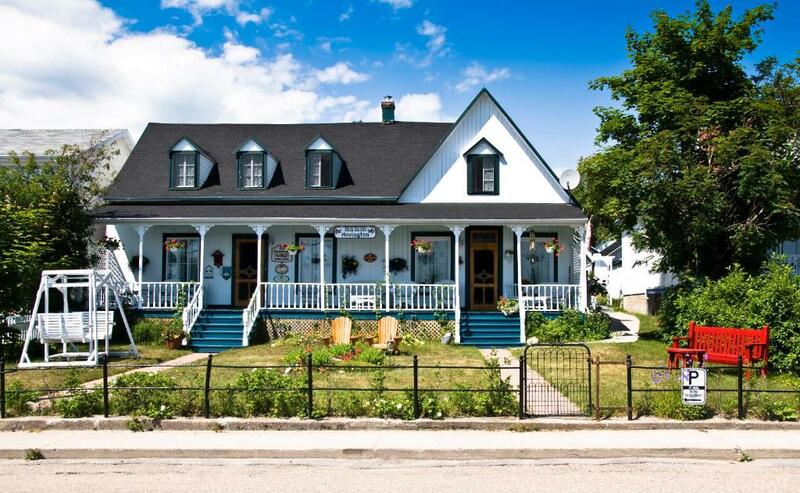 Amenities not as good as other b&b's stayed at. Very small room. Very nice hosts. Good location. 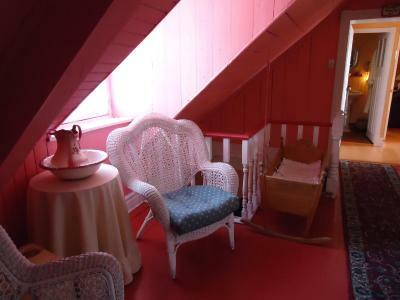 It is an old wooden hiuse -he floor above us was very squeaky when other guests walked in their room. The bathroom was tiny, hard to move inside it. I missed some protein at breakfast which was almost exclusively sweet. Wifi a bit unstable. The hosts were very nice and booked activities for us in advance. Centrally lcated and parking availablle. Great coffee and homemade sweets for breakfast. Nice bath tub. No stand up shower. My suite was supposed to be a 2 bedroom suite, but there was only one double bed and a sofa bed which was very uncomfortable and squeaky! The breakfast is included in the price, but it is not served until after 7 am so we missed it because we had to leave at 6:30 am. 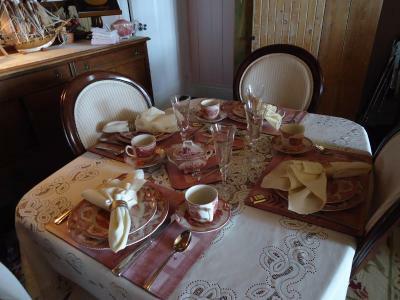 It would have been nice if the B&B had at least some coffee ready earlier.